My name’s HIEN Hak and I am 25 years old. I am the eldest son in the family with three younger sisters and my mother. And I am married, my wife is Makra and I have a son Jesda Alex who is 7 months old. My family is a middle-class family in this rural areas. Before rejoining the Angkor Kids Center / All For Kids Organization as Executive Director, I used to work for a 5 star hotel, Amansara Resort in Siem Reap, Cambodia for 3 years. I attended the first English class in 2008 with Mr. CHHON Samnang, our AKC Founder. There were 25 students in the class. 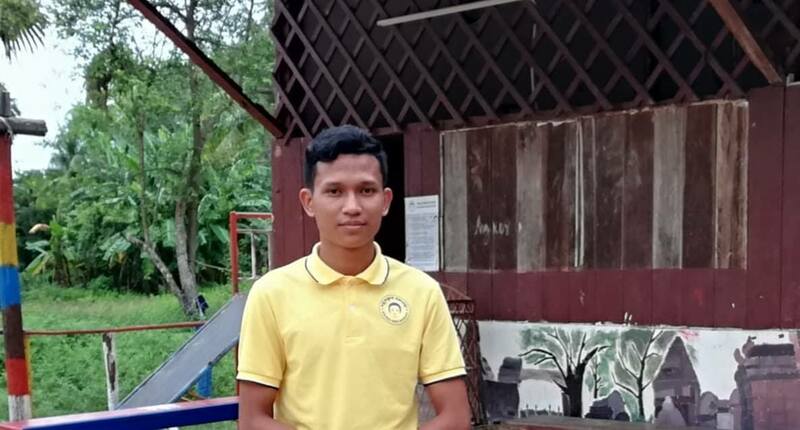 After one year of studies, I joined the Angkor Kids Center as a volunteer assistant teacher from 2009 to 2011 teaching around 15 students in my class. From 2011 to 2013 I volunteered as a full-time teacher with 25 students. 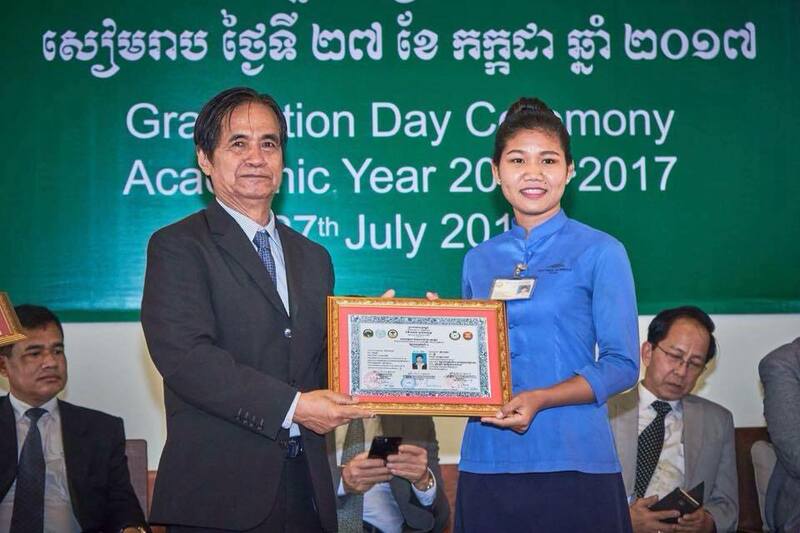 After I graduated from high school in 2013, I had the chance to get a scholarship from Mrs. Pamela McCourt Francescone coordinated by the Angkor Kids Center to join a vocational training school called Paul Dubrule Hospitality school. It is the best Tourism and Hospitality training school in Siem Reap. 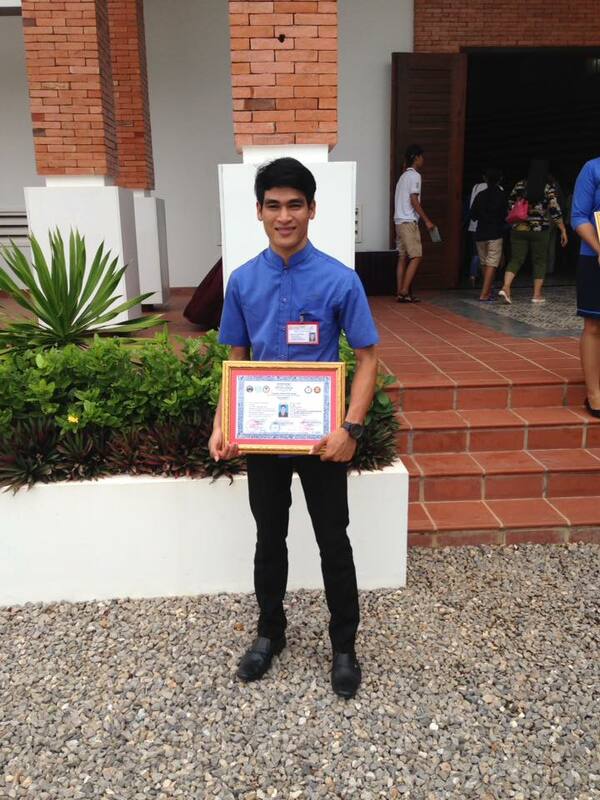 After one year of training there, I got a job as Restaurant Captain in a middle class restaurant in Siem Reap. After three months of working there, I was interviewed to work at one of the top ten hotels in Siem Reap named AMANSARA. The love and the desire to help the Angkor Kids Center to become a place that is providing a better quality of education to children and youth in this area, led me back to where I started. It also let me share what I’ve learned with the students at the Angkor Kids Center. My first goal for the Angkor Kids Center is to have a clear educational system and program that can provide free quality education to children. Furthermore, our teachers and volunteers can increase and develop their abilities more effectively. A comprehensive classroom and a library that enables students and teachers to further increase their knowledge. Having an International English As Foreign Language School Curriculum and School Management Standard to follow with a vision to see AKC school as the international standard Free foreign language school in the most remote area. Create a professional tourism training center on hotel, restaurant and hospitality skills. Multi-crop plantations that act as a supplier for the tourism training center. Be self-sustained or partial contributed from the project (3 and 4) above. Thank you for all your support so far. Let’s stay in touch and see the growth of AKC school together. Your suggestion and feedback are highly valued and consider. Coming together is a beginning; keeping together is progress; working together is success. Edward Everett Hale. Just after the announcement of the exams result presenting date, Phlom and Chhay who recently sat for a high school national exams which is a final grade of the government school after 12 years. Phlom and Chhay just after reading the chart, and found their names clean without train running lines crossing on it. Pictures and words of excitement posted to AKC team private group messenger as well as their own timeline. Note different from others’s experience, here is a great story featuring the result event on the NEWS. Let’s congrats them and wish them the best for the next life adventure. 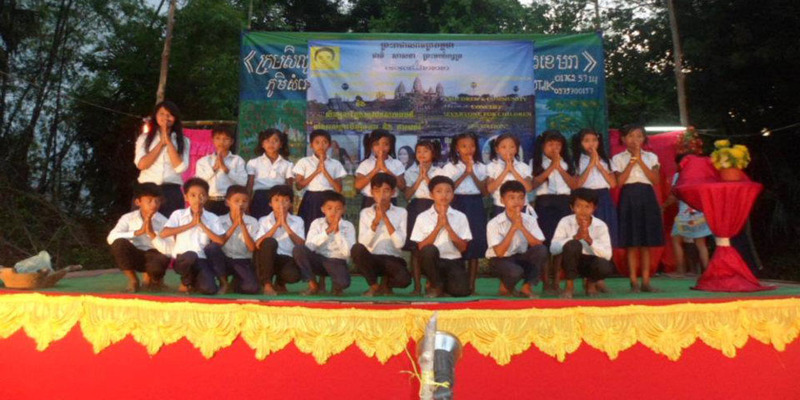 Angkor Kids Center, For better education in Cambodia.